The New-age mantra of ‘business-on-the-go’ seems to be catching on fast. Why, Should you be left behind when your competitors are exploiting every possible opportunity to expand their clientele.? 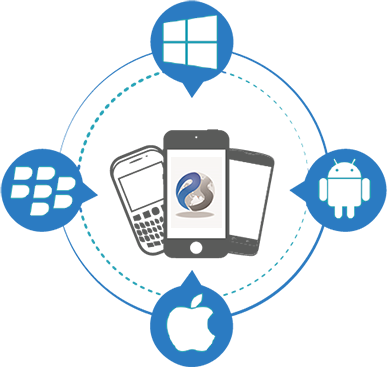 Primetech Software developes end-to-end Mobile Solutions across Iphone, IPod Touch,I pad, Android & windows. We have a team of most proficient and tech-savvy mobile apps developers. With the experience many successful App Development project executions, Primetech bring idea from concept to realty. Creating a digital wireframe document and understanding some basic UX and typography decisions is essential in the App Designing process. It is of highest importance and it is foundation for providing successful app development. User Interface is where people interact with devices and screen flow will take place on your specific application. After UI Design Approval, Our team will start coding your application based on process flow & documentation.